Besides my academic and research credentials, I have extensive international professional experience, having worked, consulted, and established research, commercial and educational programs and projects for the private and government sectors in > 20 countries throughout 5 continents over the last 30 years. Expertise in obtaining funding, planning, designing, implementing and running marine fish hatcheries and growout aquaculture operations, including training of scientific, technical and managerial staff. Experience in designing, planning and implementing aquaculture projects, ventures and operations for both government and private sector in a number of countries. Main expertise and interest focus on hatchery and cage growout technologies. PI and Co-PI in current and past government grants, including biological, environmental, social and economical studies related to aquaculture development. Experience in obtaining funds from government agencies, research and educational institutions and the private sector both in the U.S. and abroad. For the past twelve years, co-organizer and primary instructor of the Annual UM-IATTC Tuna Workshop at the Achotines Laboratory in Panama, C.A., attended by leading tuna scientists and biologists/farmers from the world over. Consultant to private and government sectors and universities and in a number of countries, including some of the largest companies in the world (list and/or references available upon request). Scientific Coordinator of Hatchery and Offshore Aquaculture Projects conducted in partnership with the private sector and the government. Currently leading the Aquaculture Program at RSMAS University of Miami and carrying out interdisciplinary research and technology transfer for the development of sustainable aquaculture projects in the US, Australia, Brazil, Ecuador, Chile, Colombia, Panama, Mexico, the Bahamas, China, Turkey, Norway and other Asian, European and Latin American countries. Prior to joining the faculty of the University of Miami in 1998, I was a research scientist at Harbor Branch Oceanographic Institution in Ft. Pierce, Florida. In addition, I’m a member of the Board of Directors of the Cape Eleuthera Foundation/ Cape Eleuthera Institute/The Island School in the Bahamas; a Science Advisory Board member, Seafood Watch, Monterey Bay Aquarium; a Science Steering Committee member, World Wildlife Fund SCAD; an Independent Expert Evaluator, EU Commission Directorate Gen. Research & Innovation; an Independent Expert Evaluator, Panel Member, Norwegian Research Council; and an Independent Expert Science Advisor, Kuwait Institute for Scientific Research . United Nations Food and Agriculture organization (F.A.O.) GESAMP (Group of Experts) for assessing and making recommendations for the development of sustainable offshore aquaculture. Florida Marine Aquaculture Working Group (FL State Dept. Agriculture Committee, Division of Aquaculture), a 12-membre panel who met 4 times in 2005-2006 to elaborate the document titled “Best Management Practices”, with recommendations for sustainable aquaculture development in the State of Florida. 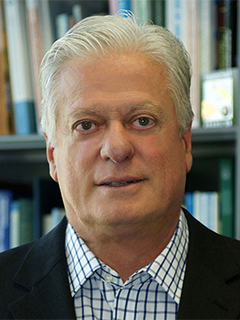 Dr. Daniel Benetti is a Professor and the Director of Aquaculture at the University of Miami’s Rosenstiel School of Marine and Atmospheric Science, where he was the Chairman of the Division of Marine Affairs and Policy from 2003 to 2008. He has over 30 years experience in aquaculture worldwide. Besides his academic responsibilities at RSMAS – where he teaches the 3 graduate level core courses of the Aquaculture Track degree —, he carries out scientific and R&D projects on technology development and environmental issues related to aquaculture. He specializes in hatchery and open ocean growout technologies of marine finfish species, including, most recently, cobia, Seriola (yellowtail jacks), snapper, tuna, mahimahi and flounder. He has published over 100 articles in aquaculture science and technology, has extensive experience with the industry and has been a consultant for the private and government sectors in Latin America, U.S., Europe, Asia, Caribbean and Australia, where he has partnered with the government and the industry to spearhead advanced technology for hatchery and sustainable offshore aquaculture development. He is the scientific coordinator of several offshore aquaculture projects and operations in the US and abroad. He is consulting for technology transfer of marine fish hatchery and growout for the government and private sector of a number of countries in 5 continents in project development for sustainable aquaculture and environmental monitoring programs with focus on open ocean and coastal mariculture operations. His work is centered on innovative research to ensure that seafood production through mariculture is wholesome, environmentally sustainable and economic viable.